Deep neural networks have achieved impressive successes in fields ranging from object recognition to complex games such as Go. Navigation, however, remains a substantial challenge for artificial agents, with deep neural networks trained by reinforcement learning failing to rival the proficiency of mammalian spatial behaviour, which is underpinned by grid cells in the entorhinal cortex. 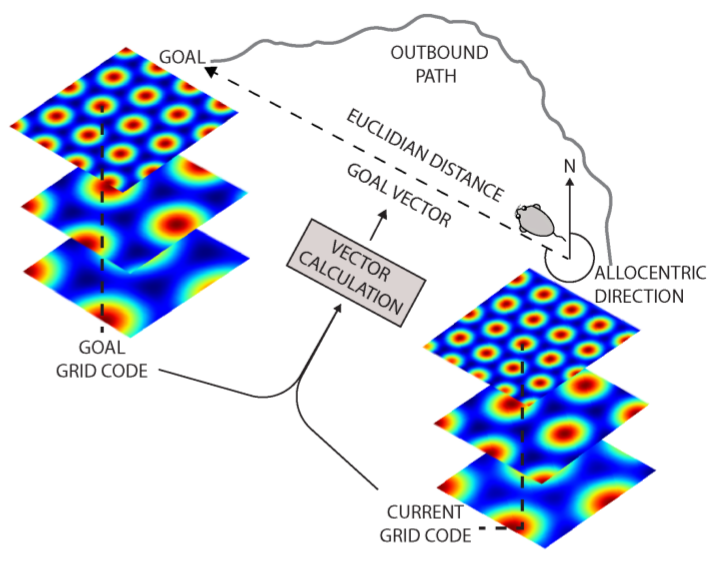 Grid cells are thought to provide a multi-scale periodic representation that functions as a metric for coding space and is critical for integrating self-motion (path integration) and planning direct trajectories to goals (vector-based navigation). Here we set out to leverage the computational functions of grid cells to develop a deep reinforcement learning agent with mammal-like navigational abilities. We first trained a recurrent network to perform path integration, leading to the emergence of representations resembling grid cells, as well as other entorhinal cell types. We then showed that this representation provided an effective basis for an agent to locate goals in challenging, unfamiliar, and changeable environments-optimizing the primary objective of navigation through deep reinforcement learning. The performance of agents endowed with grid-like representations surpassed that of an expert human and comparison agents, with the metric quantities necessary for vector-based navigation derived from grid-like units within the network. Furthermore, grid-like representations enabled agents to conduct shortcut behaviours reminiscent of those performed by mammals. Our findings show that emergent grid-like representations furnish agents with a Euclidean spatial metric and associated vector operations, providing a foundation for proficient navigation. As such, our results support neuroscientific theories that see grid cells as critical for vector-based navigation, demonstrating that the latter can be combined with path-based strategies to support navigation in challenging environments. Deep neural networks have excelled on a wide range of problems, from vision to language and game playing. Neural networks very gradually incorporate information into weights as they process data, requiring very low learning rates. If the training distribution shifts, the network is slow to adapt, and when it does adapt, it typically performs badly on the training distribution before the shift. 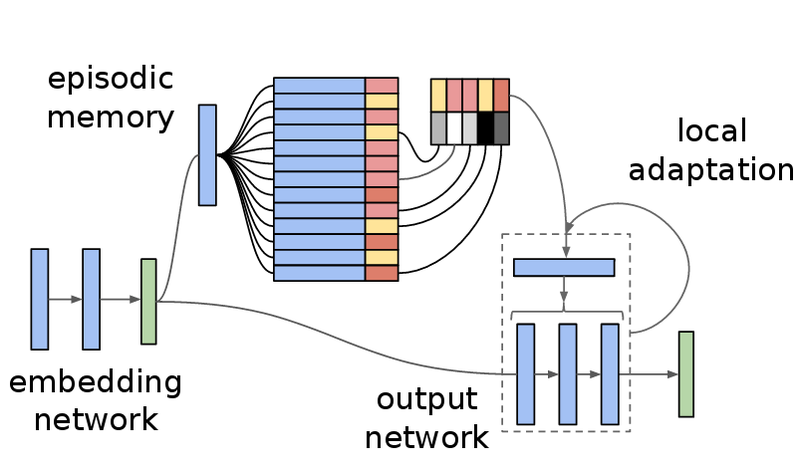 Our method, Memory-based Parameter Adaptation, stores examples in memory and then uses a context-based lookup to directly modify the weights of a neural network. Much higher learning rates can be used for this local adaptation, reneging the need for many iterations over similar data before good predictions can be made. As our method is memory-based, it alleviates several shortcomings of neural networks, such as catastrophic forgetting, fast, stable acquisition of new knowledge, learning with an imbalanced class labels, and fast learning during evaluation. We demonstrate this on a range of supervised tasks: large-scale image classification and language modelling. We introduce NoisyNet, a deep reinforcement learning agent with parametric noise added to its weights, and show that the induced stochasticity of the agent's policy can be used to aid efficient exploration. The parameters of the noise are learned with gradient descent along with the remaining network weights. NoisyNet is straightforward to implement and adds little computational overhead. 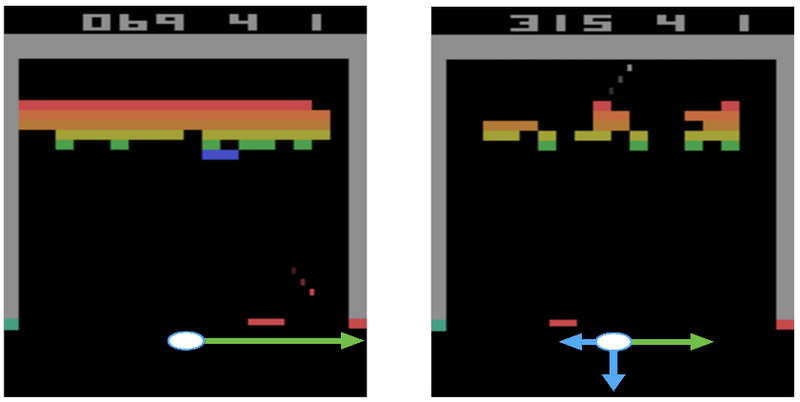 We find that replacing the conventional exploration heuristics for A3C, DQN and dueling agents (entropy reward and $\epsilon$-greedy respectively) with NoisyNet yields substantially higher scores for a wide range of Atari games, in some cases advancing the agent from sub to super-human performance. Deep neural networks are powerful black box predictors that have recently achieved impressive performance on a wide spectrum of tasks. Quantifying predictive uncertainty in neural networks is a challenging and yet unsolved problem. 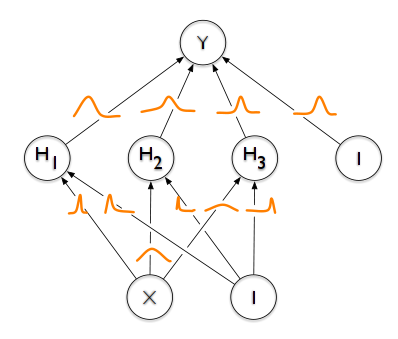 Bayesian neural networks, which learn a distribution over weights, are currently the state-of-the-art for estimating predictive uncertainty; however these require significant modifications to the training procedure and are computationally expensive compared to standard (non-Bayesian) neural neural networks. We propose an alternative to Bayesian neural networks, that is simple to implement, readily parallelisable and yields high quality predictive uncertainty estimates. Through a series of experiments on classification and regression benchmarks, we demonstrate that our method produces well-calibrated uncertainty estimates which are as good or better than approximate Bayesian neural networks. To assess robustness to dataset shift, we evaluate the predictive uncertainty on test examples from known and unknown distributions, and show that our method is able to express higher uncertainty on unseen data. 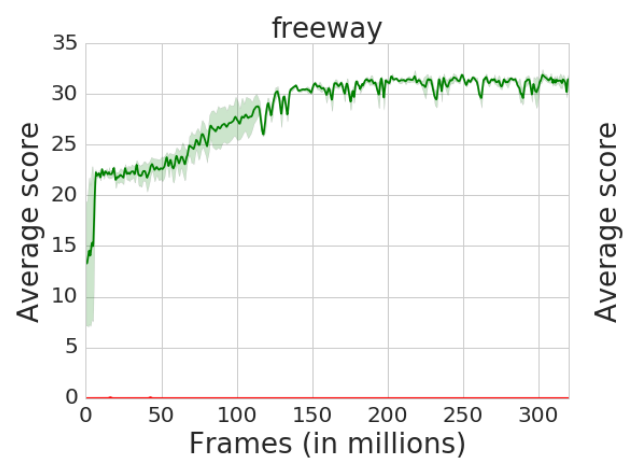 We demonstrate the scalability of our method by evaluating predictive uncertainty estimates on ImageNet. In this work we explore a straightforward variational Bayes scheme for Recurrent Neural Networks. 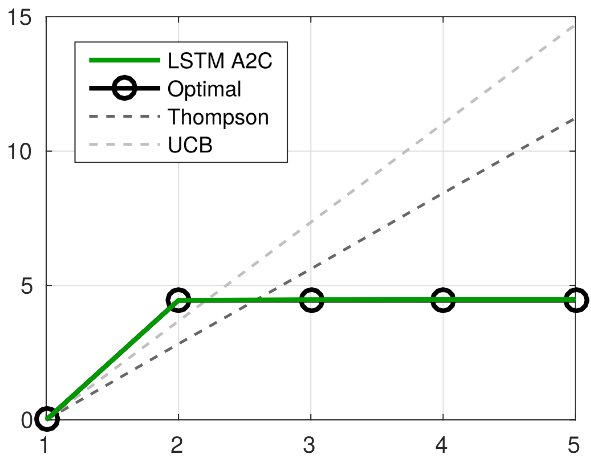 Firstly, we show that a simple adaptation of truncated backpropagation through time can yield good quality uncertainty estimates and superior regularisation at only a small extra computational cost during training. Secondly, we demonstrate how a novel kind of posterior approximation yields further improvements to the performance of Bayesian RNNs. We incorporate local gradient information into the approximate posterior to sharpen it around the current batch statistics. This technique is not exclusive to recurrent neural networks and can be applied more widely to train Bayesian neural networks. We also empirically demonstrate how Bayesian RNNs are superior to traditional RNNs on a language modelling benchmark and an image captioning task, as well as showing how each of these methods improve our model over a variety of other schemes for training them. We also introduce a new benchmark for studying uncertainty for language models so future methods can be easily compared. Nearest neighbor (kNN) methods have been gaining popularity in recent years in light of advances in hardware and efficiency of algorithms. There is a plethora of methods to choose from today, each with their own advantages and disadvantages. One requirement shared between all kNN based methods is the need for a good representation and distance measure between samples. 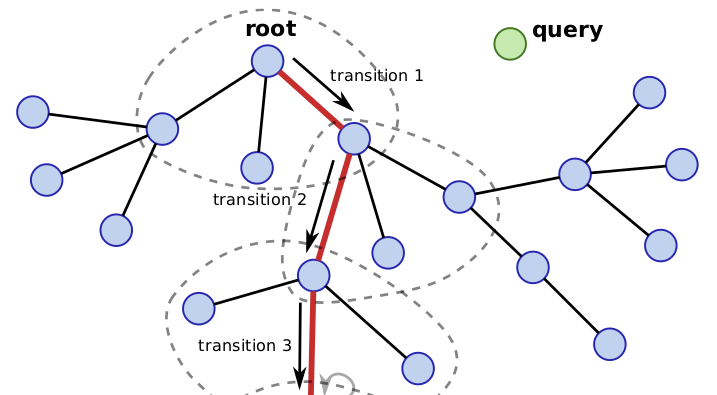 We introduce a new method called differentiable boundary tree which allows for learning deep kNN representations. We build on the recently proposed boundary tree algorithm which allows for efficient nearest neighbor classification, regression and retrieval. 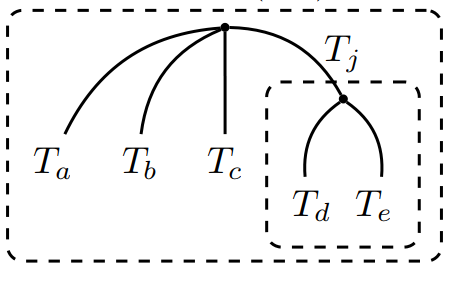 By modelling traversals in the tree as stochastic events, we are able to form a differentiable cost function which is associated with the tree's predictions. 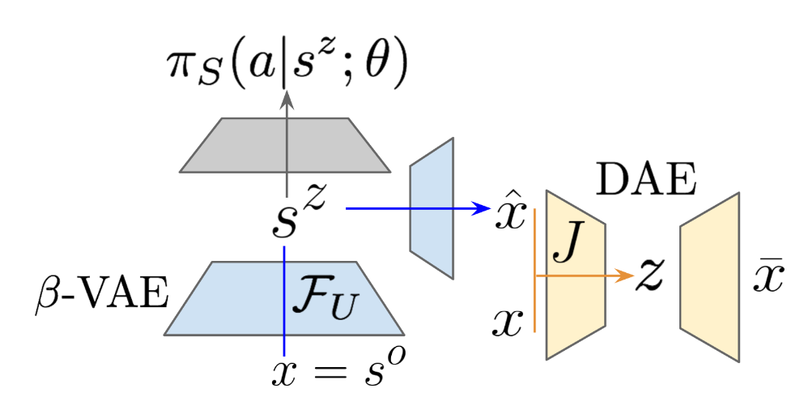 Using a deep neural network to transform the data and back-propagating through the tree allows us to learn good representations for kNN methods. We demonstrate that our method is able to learn suitable representations allowing for very efficient trees with a clearly interpretable structure. Knowledge about social hierarchies organizes human behavior, yet we understand little about the underlying computations. Here we show that a Bayesian inference scheme, which tracks the power of individuals, better captures behavioral and neural data compared with a reinforcement learning model inspired by rating systems used in games such as chess. We provide evidence that the medial prefrontal cortex (MPFC) selectively mediates the updating of knowledge about one's own hierarchy, as opposed to that of another individual, a process that underpinned successful performance and involved functional interactions with the amygdala and hippocampus. In contrast, we observed domain-general coding of rank in the amygdala and hippocampus, even when the task did not require it. Our findings reveal the computations underlying a core aspect of social cognition and provide new evidence that self-relevant information may indeed be afforded a unique representational status in the brain. Efficient exploration in complex environments remains a major challenge for reinforcement learning. We propose bootstrapped DQN, a simple algorithm that explores in a computationally and statistically efficient manner through use of randomized value functions. Unlike dithering strategies such as epsilon-greedy exploration, bootstrapped DQN carries out temporally-extended (or deep) exploration; this can lead to exponentially faster learning. We demonstrate these benefits in complex stochastic MDPs and in the large-scale Arcade Learning Environment. Bootstrapped DQN substantially improves learning times and performance across most Atari games. State of the art deep reinforcement learning algorithms take many millions of interactions to attain human-level performance. Humans, on the other hand, can very quickly exploit highly rewarding nuances of an environment upon first discovery. In the brain, such rapid learning is thought to depend on the hippocampus and its capacity for episodic memory. Here we investigate whether a simple model of hippocampal episodic control can learn to solve difficult sequential decision-making tasks. 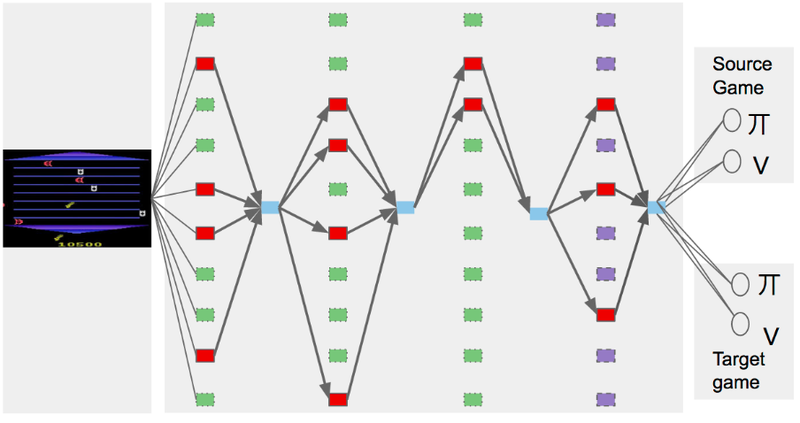 We demonstrate that it not only attains a highly rewarding strategy significantly faster than state-of-the-art deep reinforcement learning algorithms, but also achieves a higher overall reward on some of the more challenging domains. This paper makes two contributions to Bayesian machine learning algorithms. Firstly, we propose stochastic natural gradient expectation propagation (SNEP), a novel alternative to expectation propagation (EP), a popular variational inference algorithm. SNEP is a black box variational algorithm, in that it does not require any simplifying assumptions on the distribution of interest, beyond the existence of some Monte Carlo sampler for estimating the moments of the EP tilted distributions. Further, as opposed to EP which has no guarantee of convergence, SNEP can be shown to be convergent, even when using Monte Carlo moment estimates. Secondly, we propose a novel architecture for distributed Bayesian learning which we call the posterior server. 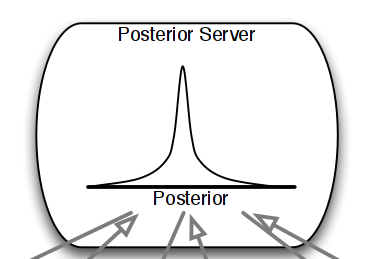 The posterior server allows scalable and robust Bayesian learning in cases where a dataset is stored in a distributed manner across a cluster, with each compute node containing a disjoint subset of data. An independent Monte Carlo sampler is run on each compute node, with direct access only to the local data subset, but which targets an approximation to the global posterior distribution given all data across the whole cluster. This is achieved by using a distributed asynchronous implementation of SNEP to pass messages across the cluster. We demonstrate SNEP and the posterior server on distributed Bayesian learning of logistic regression and neural networks. Keywords: Distributed Learning, Large Scale Learning, Deep Learning, Bayesian Learning, Variational Inference, Expectation Propagation, Stochastic Approximation, Natural Gradient, Markov chain Monte Carlo, Parameter Server, Posterior Server. We present the Bayesian Echo Chamber, a new Bayesian generative model for social interaction data. By modeling the evolution of people's language usage over time, this model discovers latent influence relationships between them. 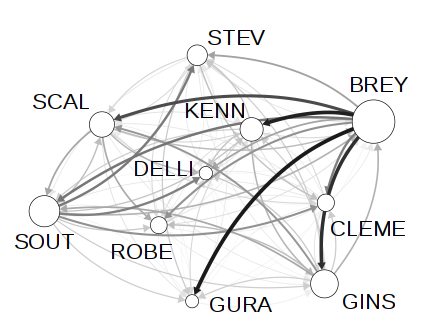 Unlike previous work on inferring influence, which has primarily focused on simple temporal dynamics evidenced via turn-taking behavior, our model captures more nuanced influence relationships, evidenced via linguistic accommodation patterns in interaction content. The model, which is based on a discrete analog of the multivariate Hawkes process, permits a fully Bayesian inference algorithm. We validate our model's ability to discover latent influence patterns using transcripts of arguments heard by the US Supreme Court and the movie "12 Angry Men." We showcase our model's capabilities by using it to infer latent influence patterns from Federal Open Market Committee meeting transcripts, demonstrating state-of-the-art performance at uncovering social dynamics in group discussions. We propose an efficient Bayesian nonparametric model for discovering hierarchical community structure in social networks. Our model is a tree-structured mixture of potentially exponentially many stochastic blockmodels. We describe a family of greedy agglomerative model selection algorithms that take just one pass through the data to learn a fully probabilistic, hierarchical community model. In the worst case, Our algorithms scale quadratically in the number of vertices of the network, but independent of the number of nested communities. In practice, the run time of our algorithms are two orders of magnitude faster than the Infinite Relational Model, achieving comparable or better accuracy. Investigating people's representations of categories of compli- cated objects is a difficult challenge, not least because of the large number of ways in which such objects can vary. To make progress we need to take advantage of the structure of object categories -- one compelling regularity is that object categories can be described by a small number of dimensions. We present Look-Ahead Monte Carlo with People, a method for exploring people's representations of a category where there are many irrelevant dimensions. 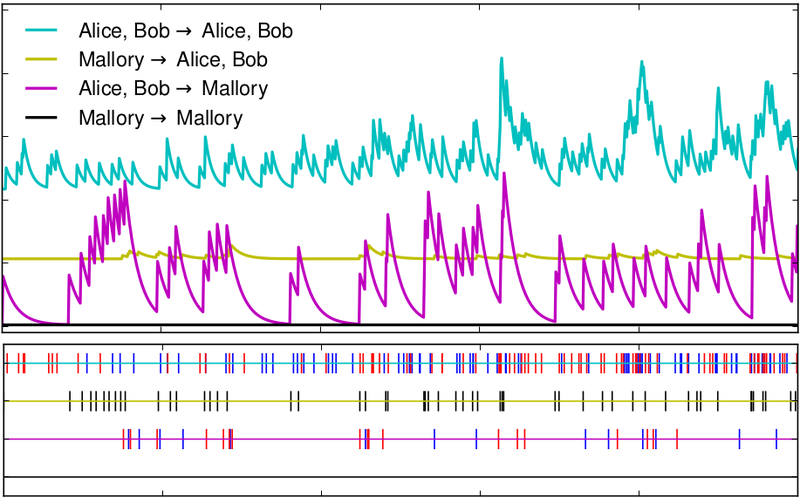 This method combines ideas from Markov chain Monte Carlo with People, an experimental paradigm derived from an algorithm for sampling complicated distributions, with ideas from hybrid Monte Carlo, a technique that uses directional information to construct efficient statistical sampling algorithms. We show that even in a simple example, our approach takes advantage of the structure of object categories to make experiments shorter and increase our ability to accurately estimate category representations. 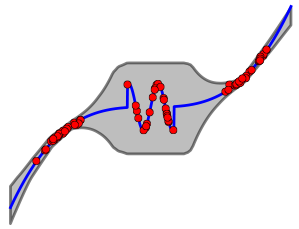 We propose a novel class of Bayesian nonparametric models for sequential data called fragmentation-coagulation processes (FCPs). 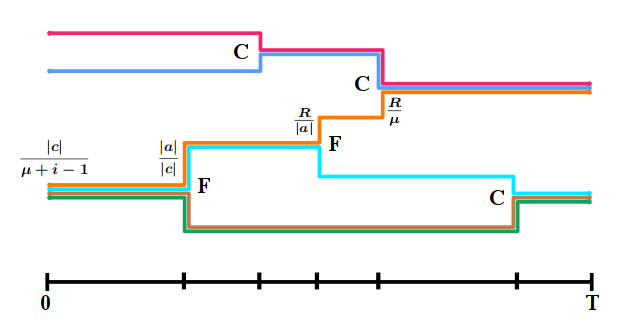 FCPs model a set of sequences using a partition-valued Markov process which evolves by splitting and merging clusters. An FCP is exchangeable, projective, stationary and reversible, and its equilibrium distributions are given by the Chinese restaurant process. As opposed to hidden Markov models, FCPs allow for flexible modelling of the number of clusters, and they avoid label switching non-identifiability problems. We develop an efficient Gibbs sampler for FCPs which uses uniformization and the forward-backward algorithm. Our development of FCPs is motivated by applications in population genetics, and we demonstrate the utility of FCPs on problems of genotype imputation with phased and unphased SNP data. Directed acyclic graphs (DAGs) are a popular framework to express multivariate probability distributions. 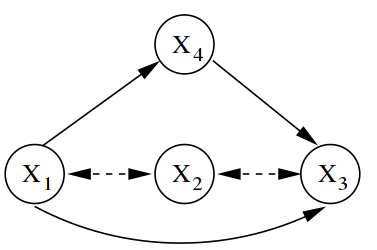 Acyclic directed mixed graphs (ADMGs) are generalizations of DAGs that can succinctly capture much richer sets of conditional independencies, and are especially useful in modeling the effects of latent variables implicitly. Unfortunately there are currently no good parameterizations of general ADMGs. In this paper, we apply recent work on cumulative distribution networks and copulas to propose one one general construction for ADMG models. We consider a simple parameter estimation approach, and report some encouraging experimental results. 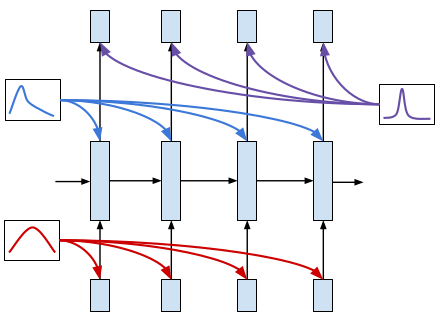 Hierarchical structure is ubiquitous in data across many domains. There are many hierarchical clustering methods, frequently used by domain experts, which strive to discover this structure. However, most of these methods limit discoverable hierarchies to those with binary branching structure. This limitation, while computationally convenient, is often undesirable. In this paper we explore a Bayesian hierarchical clustering algorithm that can produce trees with arbitrary branching structure at each node, known as rose trees. We interpret these trees as mixtures over partitions of a data set, and use a computationally efficient, greedy agglomerative algorithm to find the rose trees which have high marginal likelihood given the data. Lastly, we perform experiments which demonstrate that rose trees are better models of data than the typical binary trees returned by other hierarchical clustering algorithms.